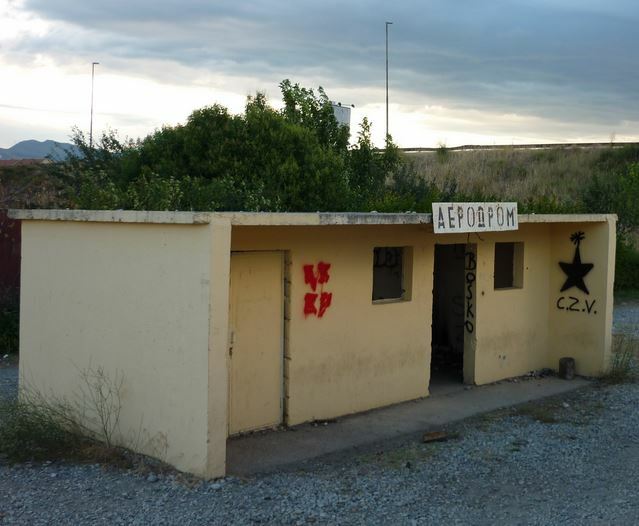 Ok, this is not the airport, but it is the train station for the airport. Unfortunately, I only found out about it later. When I arrived, I asked the lady at the airport information desk if there are any buses or trains into town. She said – incorrectly – that there are none. The taxi cost 15 € (Montenegro doesn’t have its own currency), for which I could have taken the train through the whole country several times. Yes, you need to get off here for the airport. On the website of the Montenegrin Railway (English version available), you can find the schedule. The stop is about 1 km west of the airport exit, on the other side of the highway. 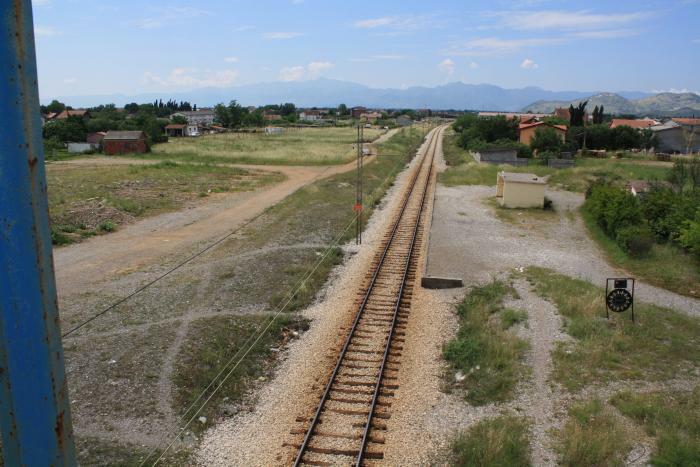 The train to Podgorica costs 1.20 €. This entry was posted in Montenegro, Travel and tagged Podgorica. Bookmark the permalink.